Homecrafted has mint and basil plants available for sale. 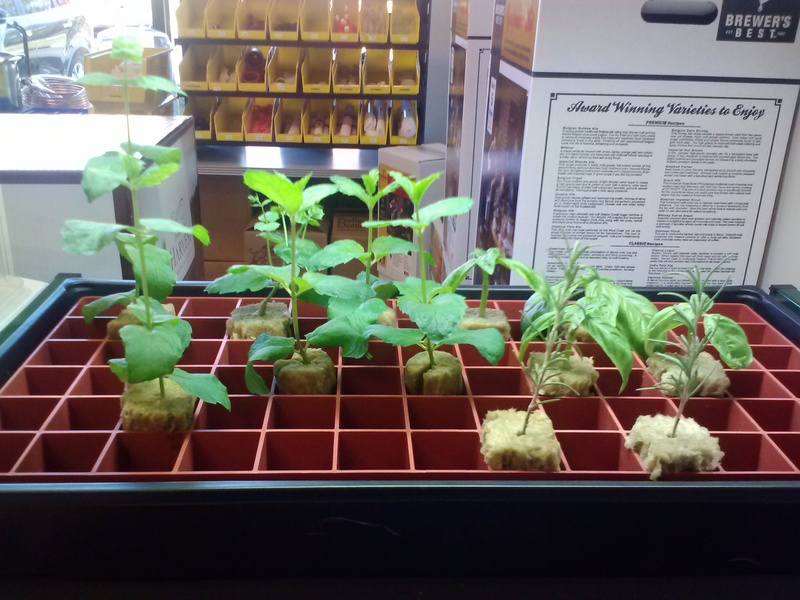 They are rooted in Grodan starter plugs and can be transplanted into any media you want, even potting soil. We have potting soil, organic potting soil, hydroponic media, lighting equipment, fertilizer, organic fertilizer, square pots, fabric pots with handles and everything you need for your indoor and outdoor gardening needs. Give us a call at 919-372-8082 or visit us at 849 Perry Road in Apex, NC.